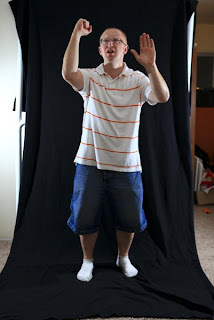 I first started off by taking a series of images of me in various poses. I set up a black backdrop behind me and set up two of my lights (one on either side of me and a little behind). I did this to give me a nice clean backdrop to make it easier to cut myself out of the image. 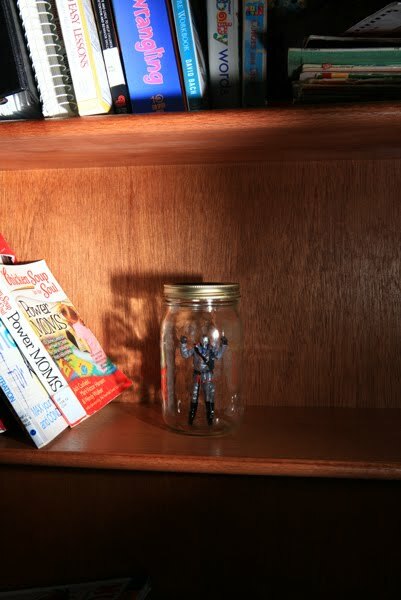 Next I did an image of the jar on the bookshelf with one of my son's action figures inside to cast a shadow on the back wall. 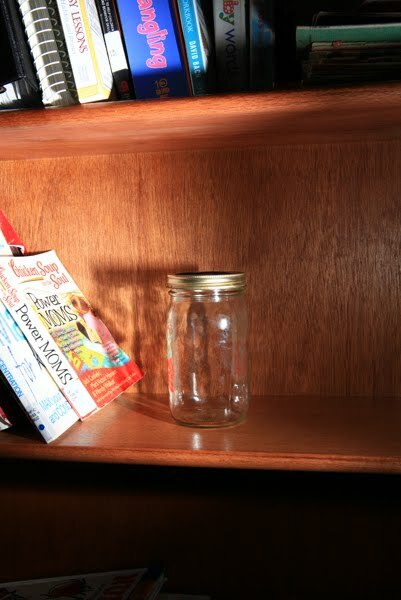 As you can see the light is coming from camera right. This was hand held and produced by one of my flashes. Once I had all the images I brought them into Photoshop and layered them. I used the shadow from the one jar image and made two copies of the non action figure image to sandwich the cutout of me between. 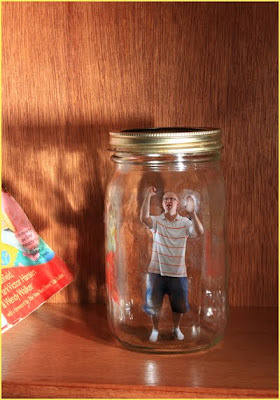 Using a layer mask I reveled the cut out of myself leaving some of the glare on the glass to make it look more realistic.